The CALLISTO 6 C represents the virtues of traditional Hi-Fi wrapped in a convenient wireless audio solution. We have developed everything from the CALLISTO 6 C drivers to the amplifier in-house, which is why we can optimise every single component to match each other perfectly. This enables us to design the woofers to be more linear than would be possible in a similar traditional passive speaker system. We are pushing the woofer design to new limits of performance, which is possible as we are in total control of the signal path. Leveraging this potential, we elevated the audio performance to levels that surpass almost any speaker amplifier combinations in this price bracket. The CALLISTO 6 C connects wirelessly to the DALI Sound Hub through an extremely stable digital connection - made on either the 2.4 GHz or the 5.8 GHz band depending on location and quality of the connection. With latency below 25 ms, sync between video and audio from a movie or TV source is obtained well within conventionally acceptable limits. 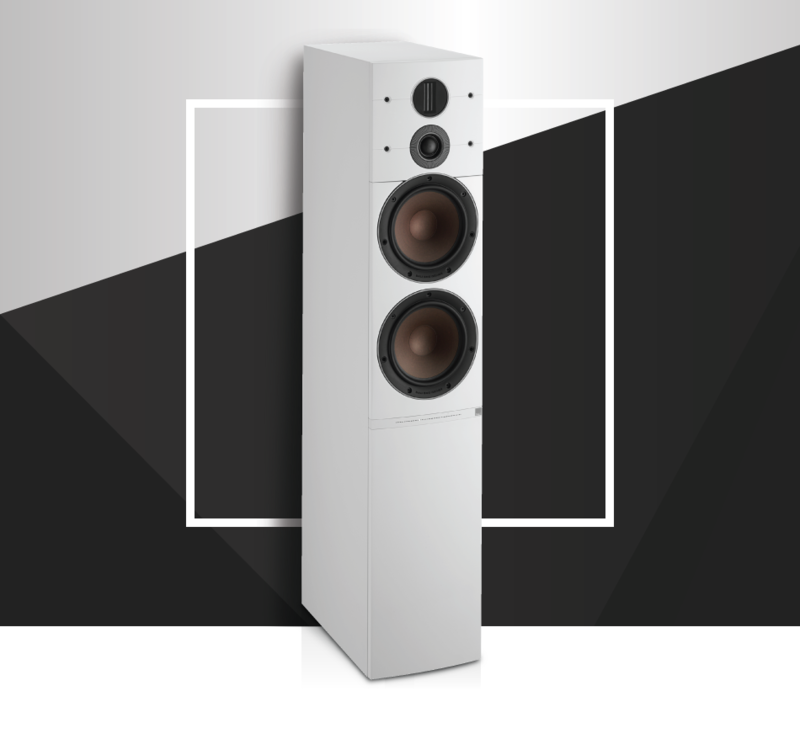 The DALI CALLISTO speakers are MQA Certified. By adding the DALI BluOS NPM-1 module to your system, you can now take advantage of the ever-growing catalogue of studio master recordings that have been encoded into MQA and streamed on services like Tidal. 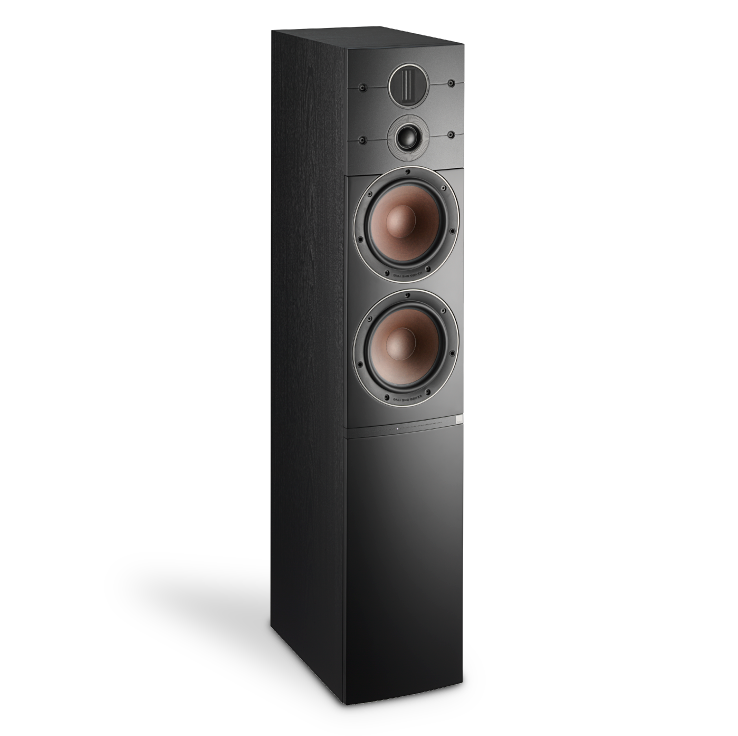 The CALLISTO 6 C features two 6½" unique woofers which take low loss and linearity to a whole new level. By controlling the entire signal path from source to driver, the DALI acoustics team were able to elevate audio performance beyond conventional speakers. Every element of the CALLISTO woofer is optimised to work in perfect balance with the built-in amplifier, and because of this, the sound stage created is detail-rich, time-coherent and effortlessly immersive. The result is music reproduced exactly as the artist intended. We used our experience from developing the OPTICON and RUBICON woofers - combined with a whole lot of listening hours - to optimise the magnet motor to deliver its ultimate. With that knowledge we were able obtain a very linear and perfectly symmetrical suspension within the working area of the voice coil and membrane, only taking control and slowing down the membrane movement at the outermost excursion points. The extra linearity obtained both around the voice-coil and in the spider manifests itself in reduction in mechanical distortion and less strain on the amplifier, which leads to more detailing and a better defined sound stage. The CALLISTO 6 C woofers benefit from the use of SMC in the pole piece. When used in a speaker magnet motor system, it results in a significant reduction of distortion from mechanical loss. SMC’s unique ability to deliver a high magnetic conductivity and a very low electrical conductivity delivers all the wanted qualities of a really good speaker magnet without the traditional downsides. As a result of these optimisations and especially through use of SMC, the CALLISTO 6 C benefits from an extremely agile, well-behaved and ultra low loss woofer, that when working in conjunction with the amplifier is able to deliver a richly detailed, time coherent and very powerful audio signal. MQA’s award-winning technology captures 100% of the original recording and packages it in a file small enough to stream. When streamed by BluOS to the wireless CALLISTO 6 C speaker through the no-loss fully digital audio transfer, every little detail in the MQA file will find its way to the ear of the listener. 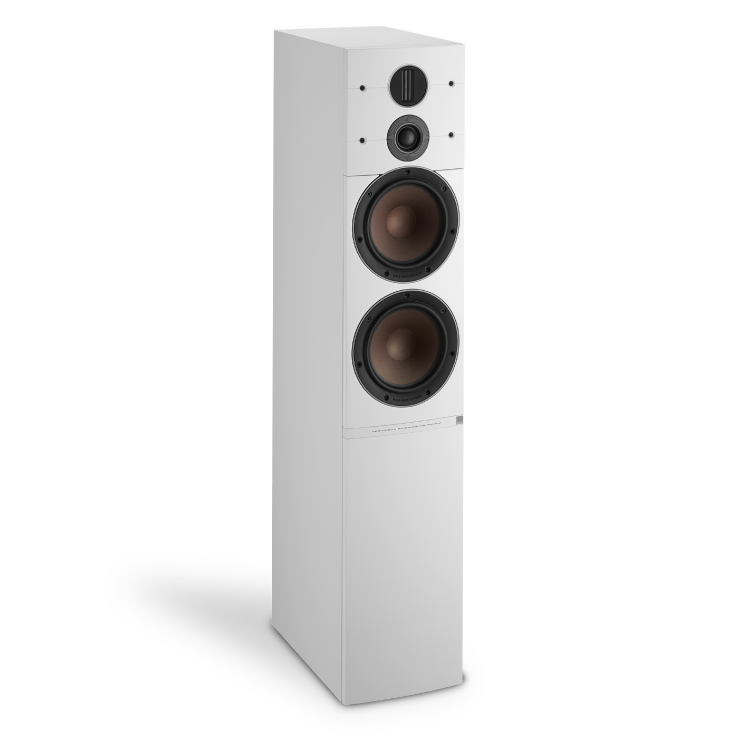 BluOS was an early adopter of the MQA technology and the DALI CALLISTO 6 C loudspeakers now join the nearly 30 other BluOS Enabled products by NAD Electronics and Bluesound as MQA Certified. The DALI trademark hybrid tweeter module was optimised specifically for the CALLISTO 6 C. It combines the dome tweeter with a ribbon tweeter for an amazing rendering of the high frequencies, and a dispersion of high frequency audio that outperforms all other tweeter technologies. The dome membrane is very soft and ultra-lightweight, and actually so thin that a coating has to be applied to hold the material together and be uniform in construction. We have optimised the magnet system to maximize flux saturation right at the voice coil area. This optimisation combined with the use of an ultra-thin magnetic fluid for cooling results in better control, power handling and greatly limits distortion. 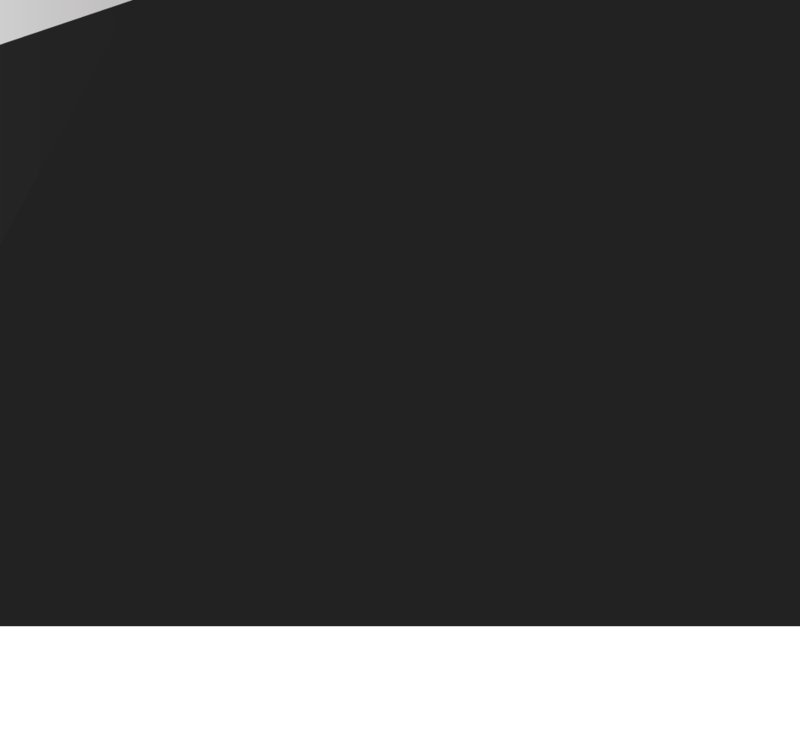 The ribbon part of the hybrid module is a magneto-static type tweeter. Four bands of conductive material make up the active diaphragm that is controlled by a strong magnetic field formed around it. The ribbon tweeter is the master of wide dispersion, and combining it with the soft dome, we get a tweeter module that can be utilised as low as 2.0 KHz and continues to perform well above 30 KHz. This extreme bandwidth combined with the ultra wide dispersion is an important part of the DALI sonic definition. Designing a ‘best in class’ active speaker system is the sum of many parts. One truly important part is the amplifier, or more correctly the amplifier module. Any quality amplifier module consists of three equally important parts that need to be designed to work together in perfect harmony: the amplifier itself, the PSU and the signal processing. The delivery from the signal processing and the PSU to the amplifier circuitry must adhere precisely to the amplifiers needs and demands. Only in this way can you achieve an undistorted, uncoloured and coherent amplification. The CALLISTO 6 C Class D amplifier is based on patented state-of-the-art technology with a global feedback and self-oscillating design chosen for its very musical properties. Being able to deliver 250 Watts for up to 5 seconds, there is plenty of power to ensure more than enough sound pressure even in complex musical passages or massive explosions in movies. At our large woodworking facility in Denmark, we precision-cut the CALLISTO 6 C MDF cabinets ourselves to maintain the high quality, followed by applying the vinyl. The cabinets for the CALLISTO 6 C are constructed from 25mm solid MDF, which employ a very rigid construction with robust bracings across the inside of the cabinet for extra reinforcement. This contributes to a stiffness and density that practically eliminates resonance within the cabinet. At the same time great care is taken not to reduce the internal volume of the cabinet unnecessarily. Through strict in-house control of every aspect of production, CALLISTO achieves a level of fit and finish typically found only in products well beyond its price point. "Stable transmission at a high 96kHz/24-bit resolution gives great stereo sound without wires."